"You may feel like the most productive person alive, but without a purpose, you're just busy." Erin is the editor in chief and co-owner of Pick the Brain, — one of the most popular and trusted self-improvement communities on the web — and co-host of the Pick the Brain Podcast. Pick the Brain has been named in over 100 “Best of the Web” lists, and Refinery29 named Erin one of the Top 10 Women Changing the Digital Landscape for Good. Erin is also the co-founder of LEAFtv, a video lifestyle brand for millennials, and is the author of How to Get Sh*t Done, a productivity book for women. She has had a varied career that includes screenwriter stand-up comedian, political consultant, and is now proudly, heavily invested in the online blogging world. She lives in Los Angeles. Women live in a state of constant guilt: that we’re not doing enough, that we’re not good enough, that we can’t keep up. If we’re not climbing the corporate ladder, building our side hustle, preparing home-cooked meals, tucking the kids in at night, meditating daily, and scheduling playdates, date nights, and girls’ nights every week, we feel like we’re not living our best lives. Yet traditional productivity books—written by men—barely touch the tangle of cultural pressures that women feel when facing down a to-do list. Finally, in the first productivity book by a woman in a decade, Erin Falconer will show you how to do less—a lot less. In fact, How to Get Sh*t Done will teach you how to zero in on the three areas of your life where you want to excel, and then it will show you how to off-load, outsource, or just stop giving a damn about the rest. As the founder of two technology start-ups and one of Refinery29’s Top 10 Women Changing the Digital Landscape for Good, Erin has seen what happens when women chase an outdated, patriarchal model of productivity, and in How to Get Sh*t Done she shows how even the most perfectionistic among us can tap into our inner free spirit and learn to feel like badasses, rather than drudges. 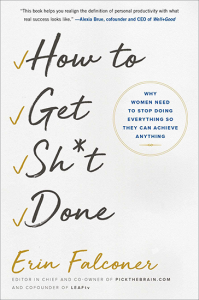 Packed with real-life advice, honest stories from Erin’s successful career, and dozens of actionable resources, How to Get Sh*t Done will forever reframe productivity so that you can stop doing everything for everyone and start doing what matters to you. 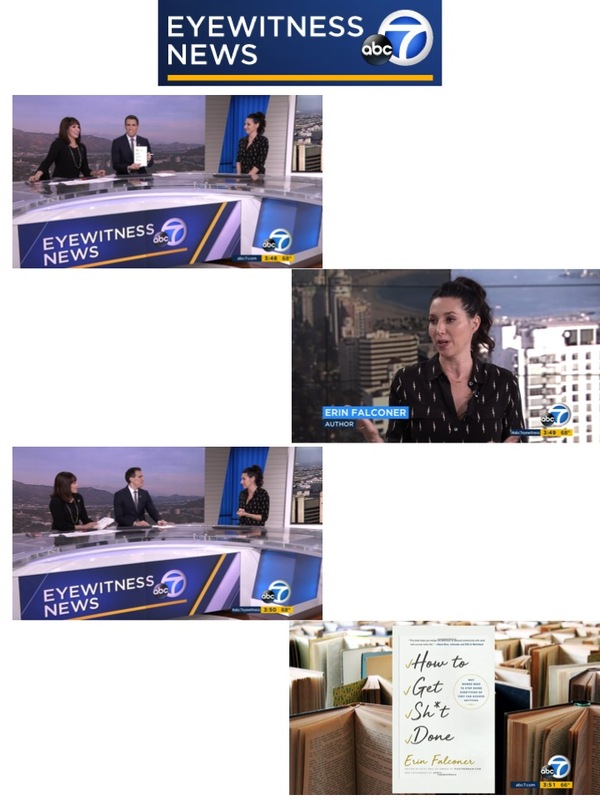 "The timing for this book could not be more perfect ... empowering and inspirational for women"
"This book informs not on how to get more done but how to do less, and achieve more that matters." 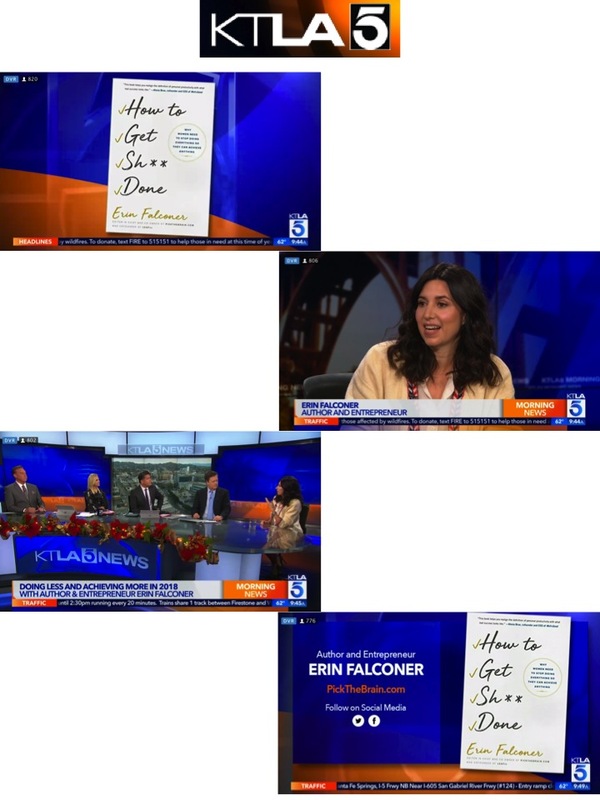 "Erin Falconer is a renowned name in the field of lifestyle and self improvement." The Pick the Brain Podcast is the show where we pick the brains of the brightest minds in productivity, health, and self improvement. Join us as we retrain our brains to experience and expect the best from ourselves and the best from life. Pick the Brain a blog site dedicated to self improvement with a focus on personal productivity, motivation, and self education. Since Erin first published it, in 2006, Pick the Brain has become one of the most popular self improvement sites on the web.